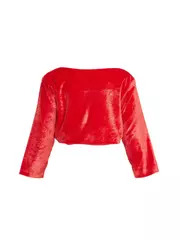 This Red shrug from ALF is a fashionable party wear to keep your little darling in the spotlight. 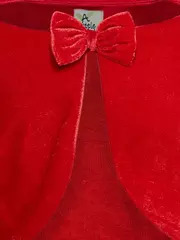 Featuring a front-open design, this pretty shrug will add charm and beauty to her look. 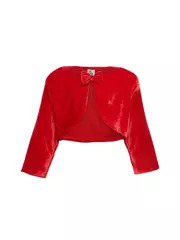 Made from soft and comfortable velvet fabric, this shrug can be matched perfectly with a dress and a pair of belly shoes.